You're having a little bit of digestion today. 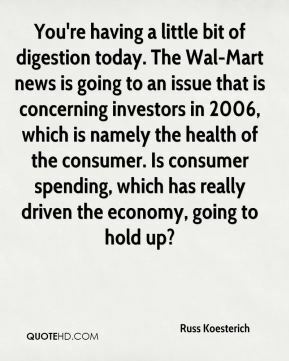 The Wal-Mart news is going to an issue that is concerning investors in 2006, which is namely the health of the consumer. Is consumer spending, which has really driven the economy, going to hold up? Things have been very distorted by how warm the weather was in January. To some extent, we're trying to get a handle on how it impacted the economy. 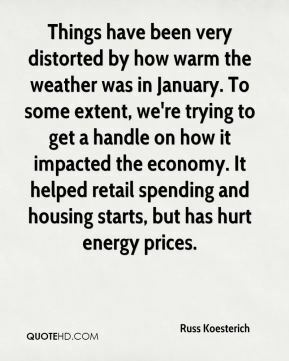 It helped retail spending and housing starts, but has hurt energy prices. 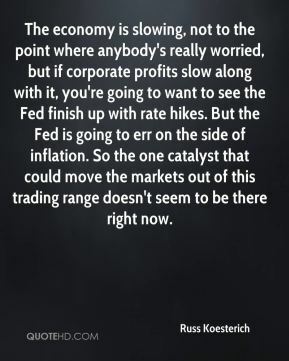 The economy is slowing, not to the point where anybody's really worried, but if corporate profits slow along with it, you're going to want to see the Fed finish up with rate hikes. But the Fed is going to err on the side of inflation. So the one catalyst that could move the markets out of this trading range doesn't seem to be there right now. 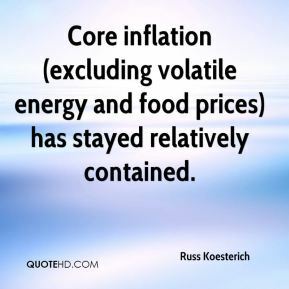 Core inflation (excluding volatile energy and food prices) has stayed relatively contained.